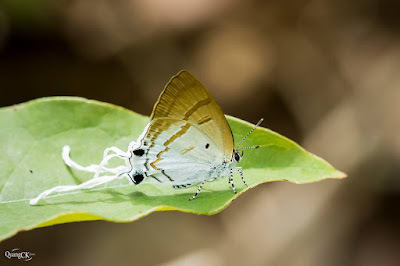 It is a beautiful species of Lycaenidae butterfly with very long tails. There are 2 subspecies of the species in Indo-Burma region: Hypolycaena amasa amasa Hewitson, 1865 and Hypolycaena amasa maximinianus (Fruhsrtorfer,1912). 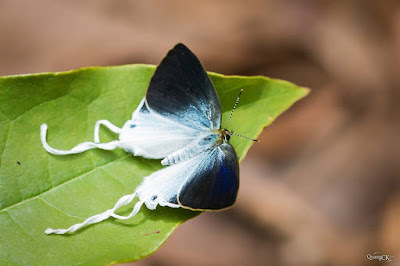 Two subspecies maybe separated by the South East Asia Sea, while the Hypolycaena amasa amasa found from the main land of Indochina area, Hypolycaena amasa maximinianus was recorded from South of Thailand to Indonesia-Malaysia and Borneo part of South East Asia.